The term pasteurisation has been coined after the name of Louis Pasteur of France, who in 1860 demonstrated that heating wine at a temperature between 122 to 1400F (50 to 600C) killed the spoilage organisms and helped in its preservation. The application of this process gave rise to the new term Pasteurisation. Although Louis Pasteur pioneered studies on heat-treatment for preservation, pasteurization of milk was first attributed to Dr. Soxhelt of Germany in 1886. 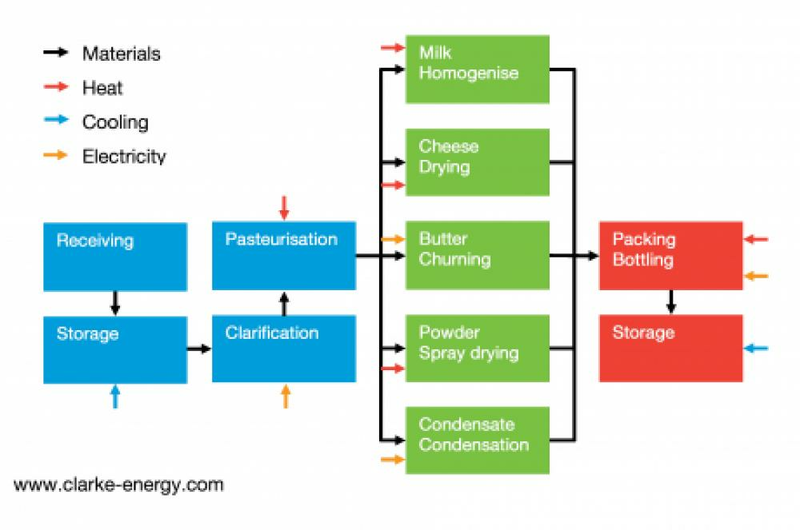 The term pasteurisation, applied to market milk today refers to the process of heating every particle of milk to at least 630C for 30 minutes or to 700C for 15 seconds (or to any temperature time/combination which is equally efficient) in approved and properly operated equipment. After pasteurization, the milk is immediately cooled to 50C or below. The main objects of pasteurization are (a) to render milk safe for human consumption by destruction of cent percent pathogenic microorganisms and (b) to improve the keeping quality of milk by destruction of almost all spoilage organisms (85 to 99 %). As it is difficult to exercise strict supervision over all milk applies; it becomes necessary to pasteurize milk so as to make it safe for human consumption. Any impairment of nutritive value is the slightest extent. Milk contains some microorganisms when drawn from the udder and their and their numbers increase during subsequent handling . The common milk microorganisms grow best between 20 and 400C. Bacterial growth is invariably accompanied by deterioration in marker quality due to development of off- flavors, acidity etc. one method of preserving milk is by prompt cooling to a low temperature. The bacterial growth factor in milk at different storage temperatures is given below. It will be seen from above that 100C is a critical temperature for milk. Freshly drawn milk should, therefore, be promptly cooled to 50C or below and also held at that temperature till processed. There are different methods for cooling the milk. They are (a) in –can or can—immersion method (b) surface cooler (c) in—tank or bulk –tank cooler and (d) milk chilling centers. Standardisation of milk refers to the adjustment ie., raising of lowering of the fat and /or SNF percentage or milk to desired value, so as to conform to the legal or other requirements prescribed. Milk is standardized by the addition of milk pr cream with a higher of lower fat percentage than that of the material to be standardised. Cleaning of washing of dairy equipment implies the removal of milk produces from the surface o each machine. Sanitization implies the destruction of all pathogenic and almost all non-pathogenic micro-organisms from equipment surface. Detergents or cleaning/ washing compounds are substance capable of assisting cleaning. Sanitisers are substances capable of destroying all pathogenic and almost all non-pathogenic micro-organisms.